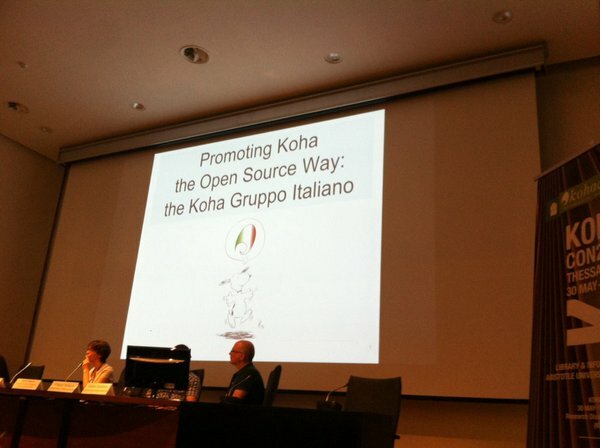 Stefano Bargioni was up next talking about the Italian Koha Users group, called the Koha Gruppo Italiano. It started in 2008, and from 2010 they began doing presentations on a regular basis. In 2011 the library of the Pontificia Universita della Santa Croze moved to Koha. In February 2013 the created the foundation. They have done an amazing amount of work promoting and talking and using Koha. One of the major things they did was get 2 grants from EBSCO for funding more development work in Koha.